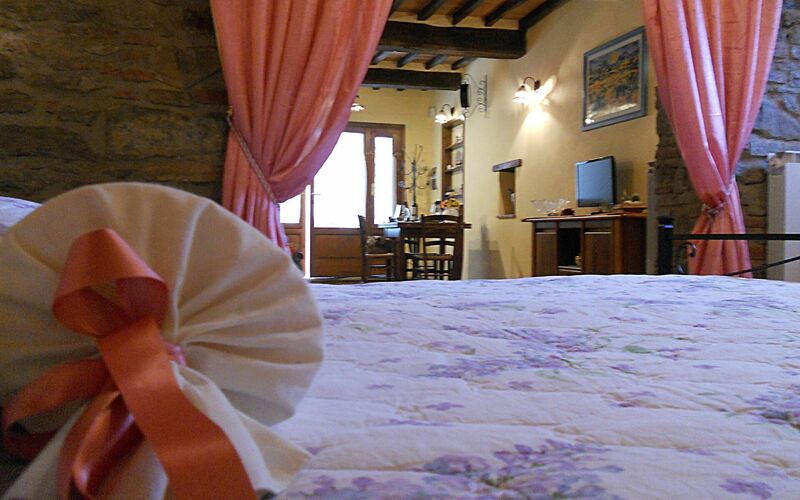 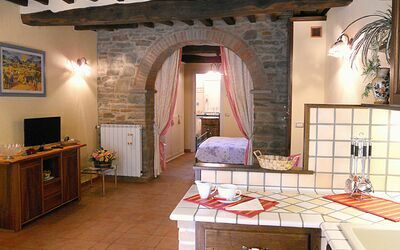 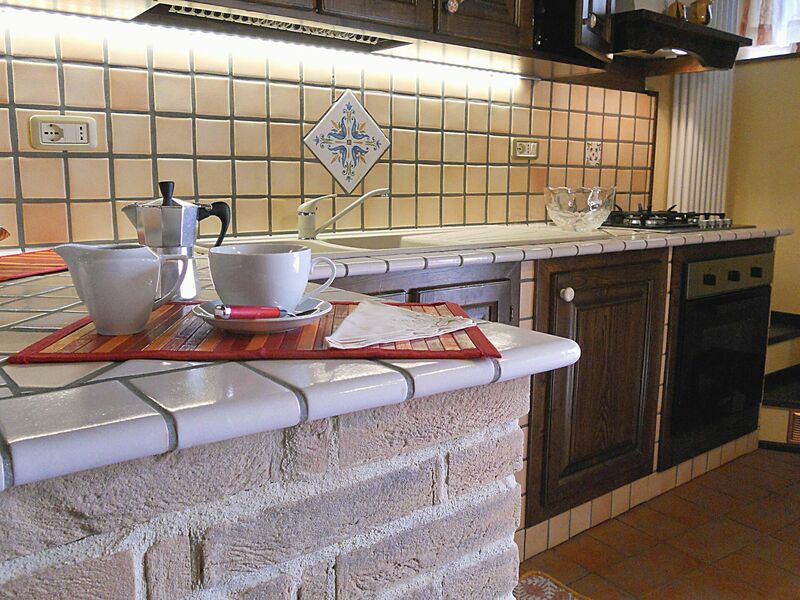 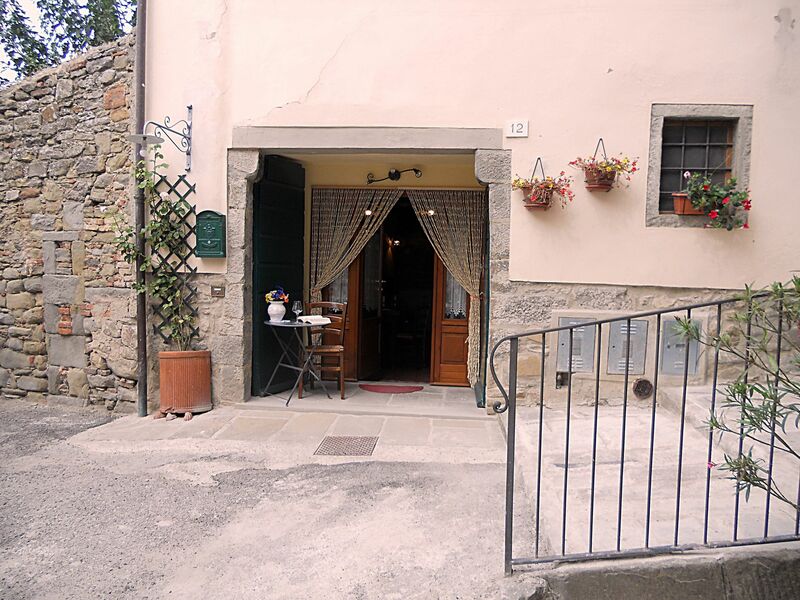 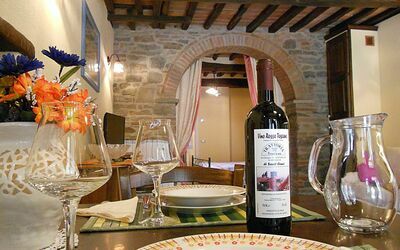 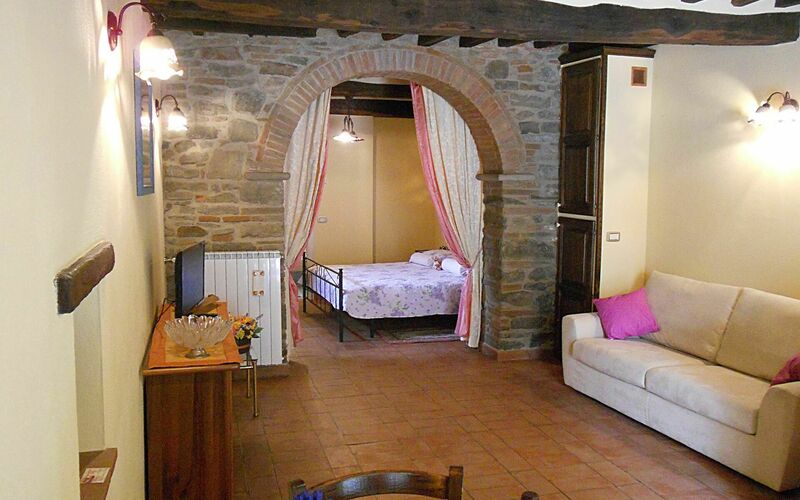 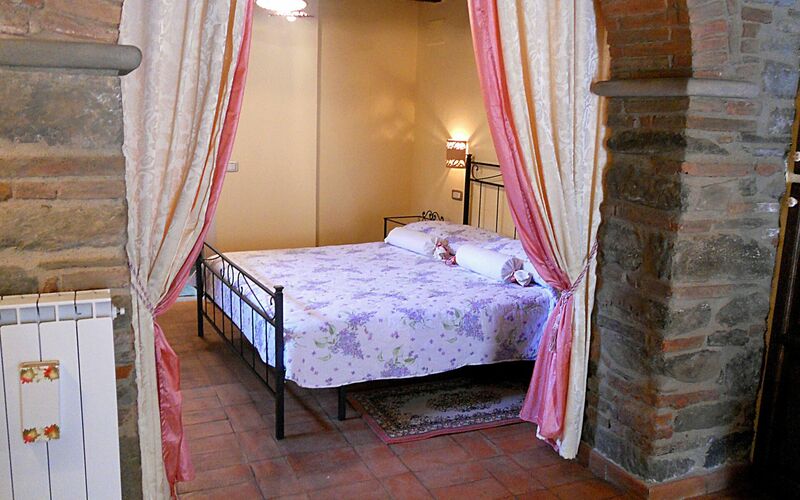 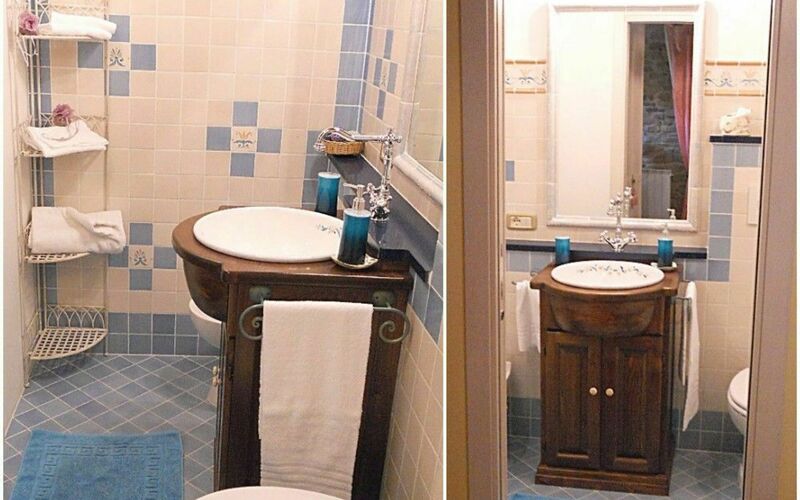 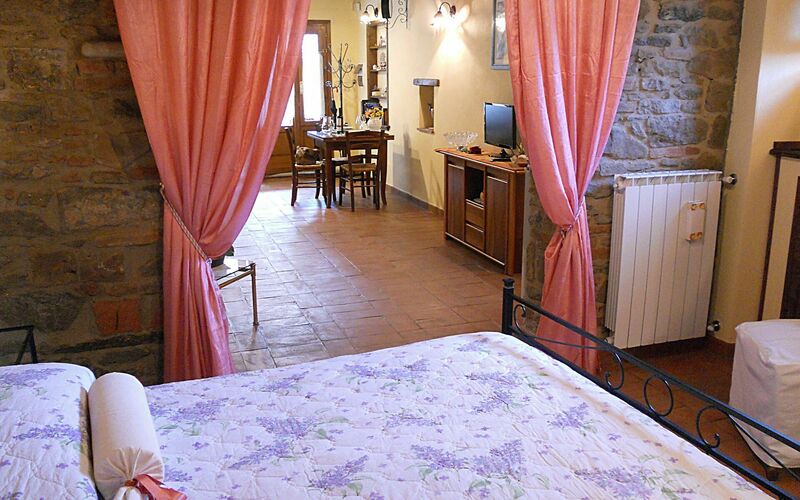 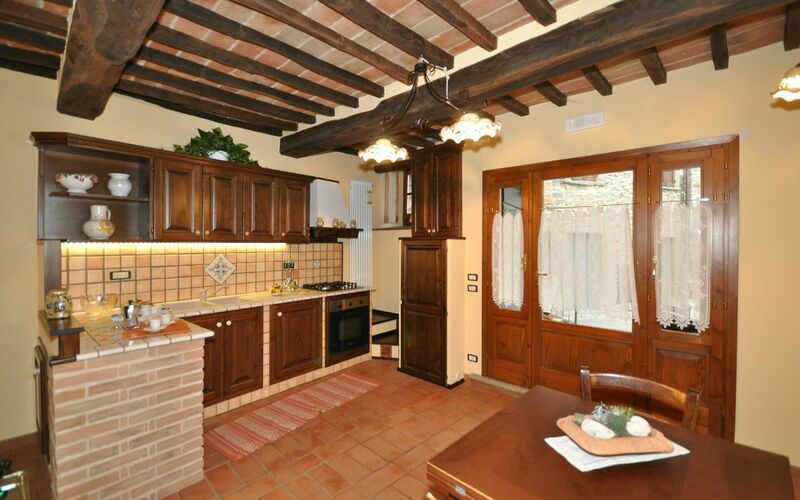 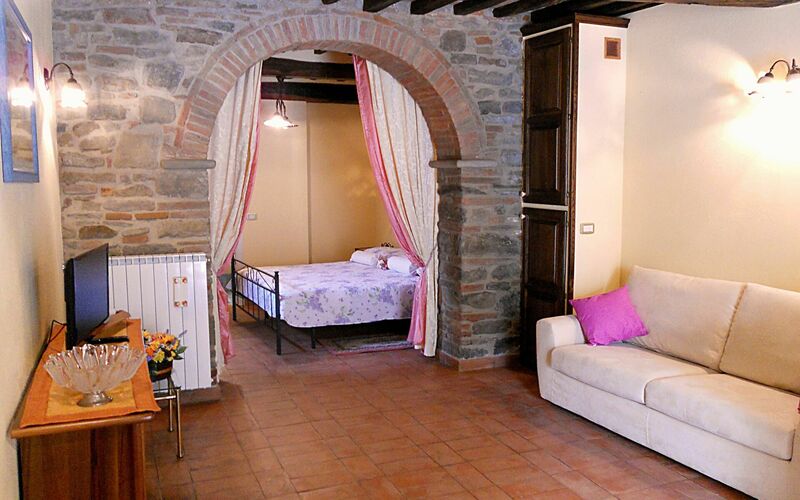 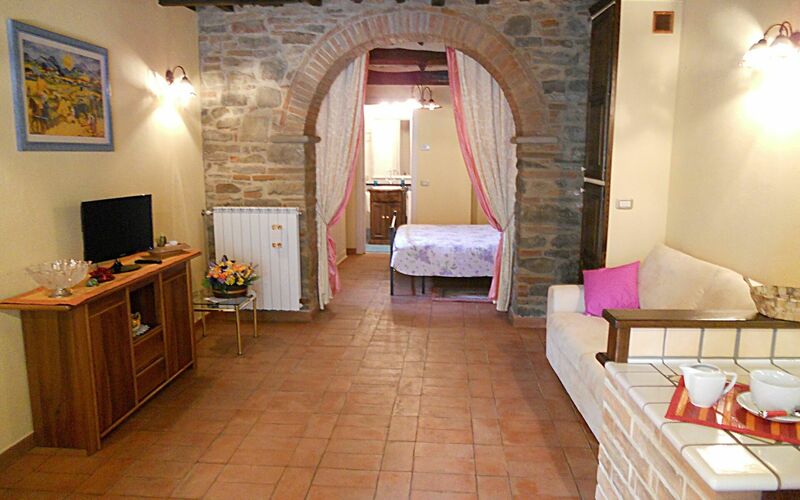 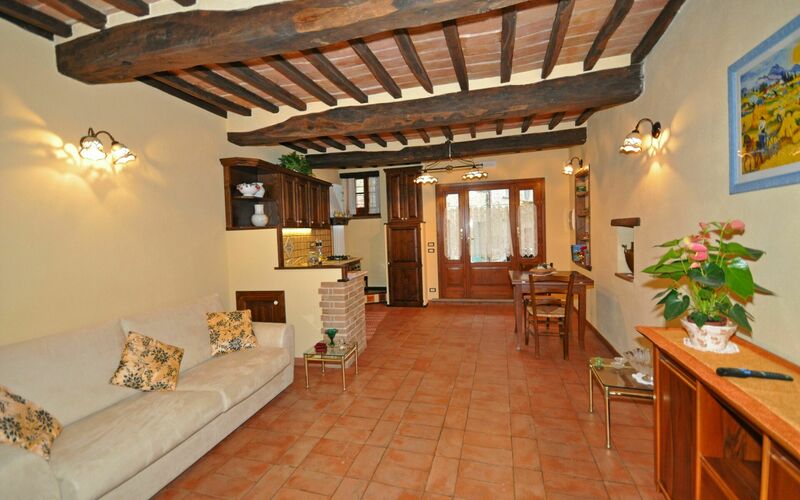 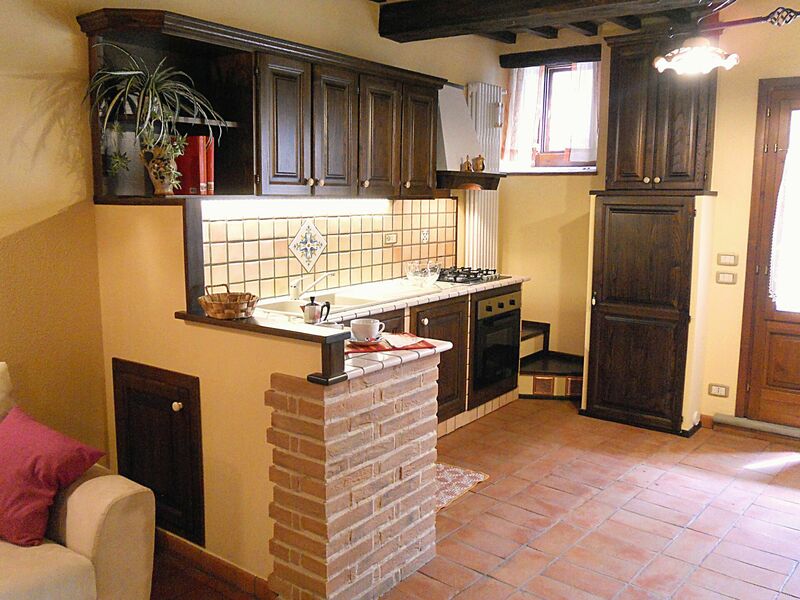 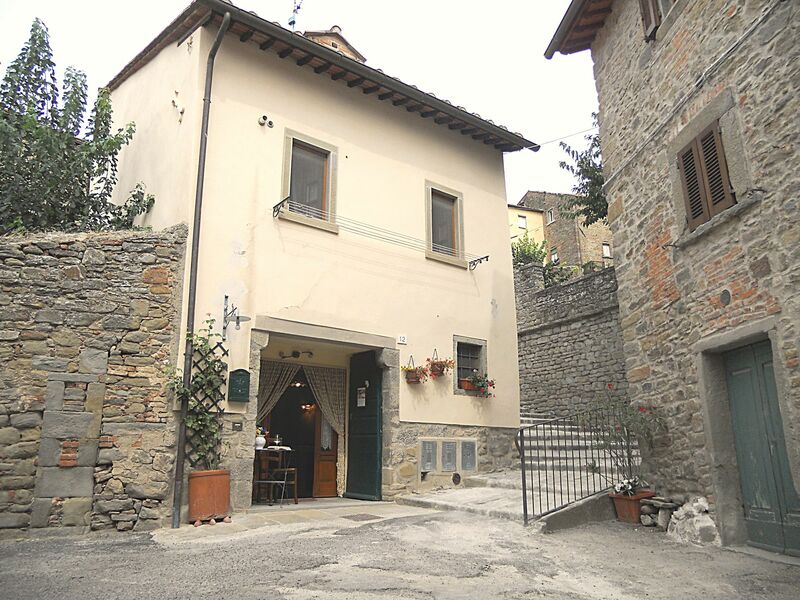 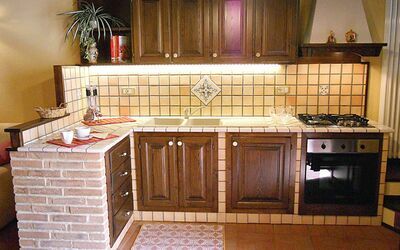 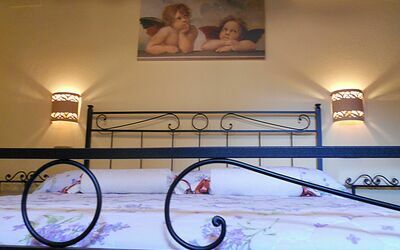 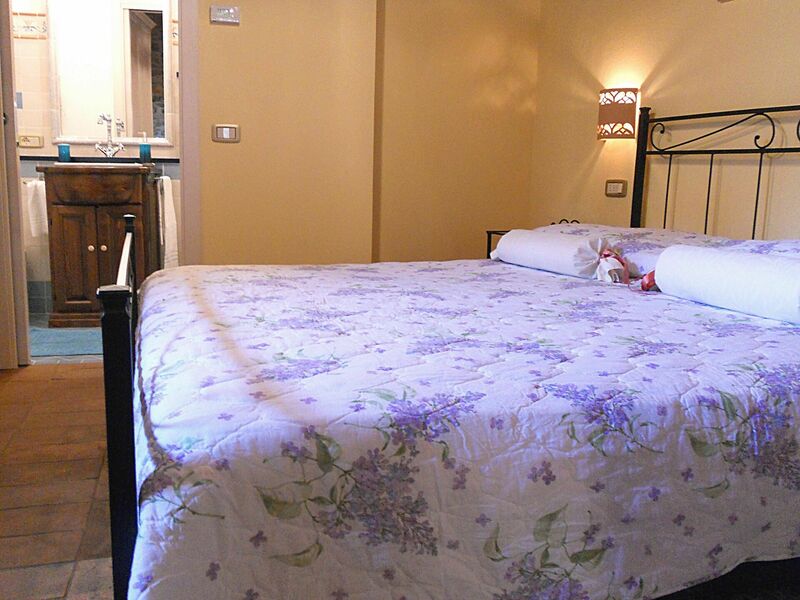 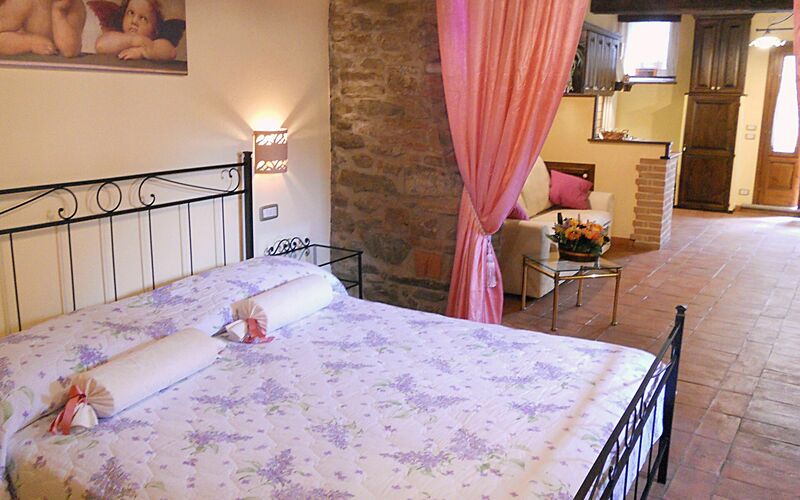 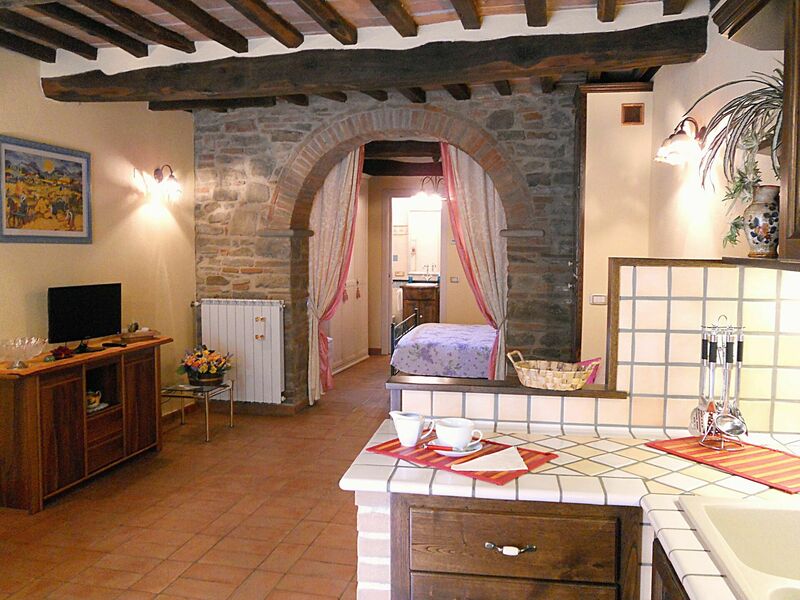 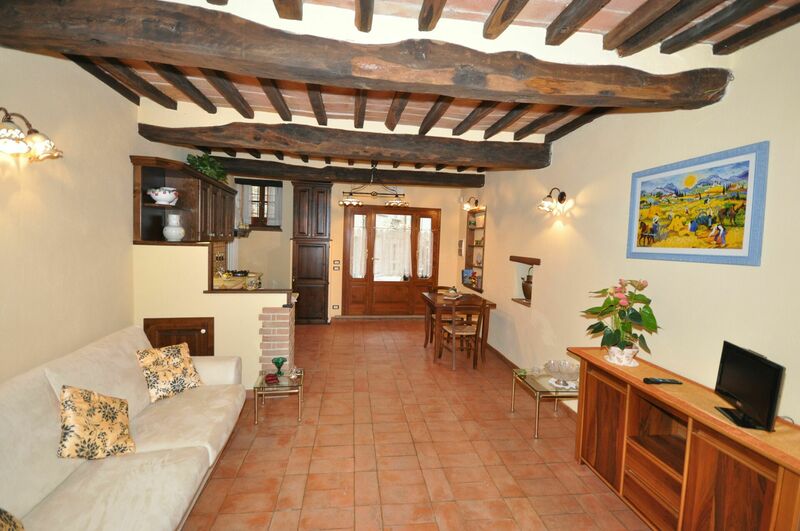 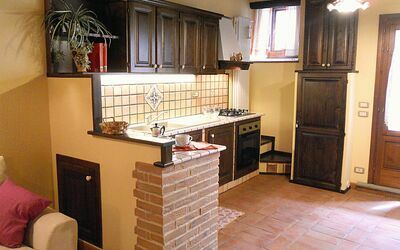 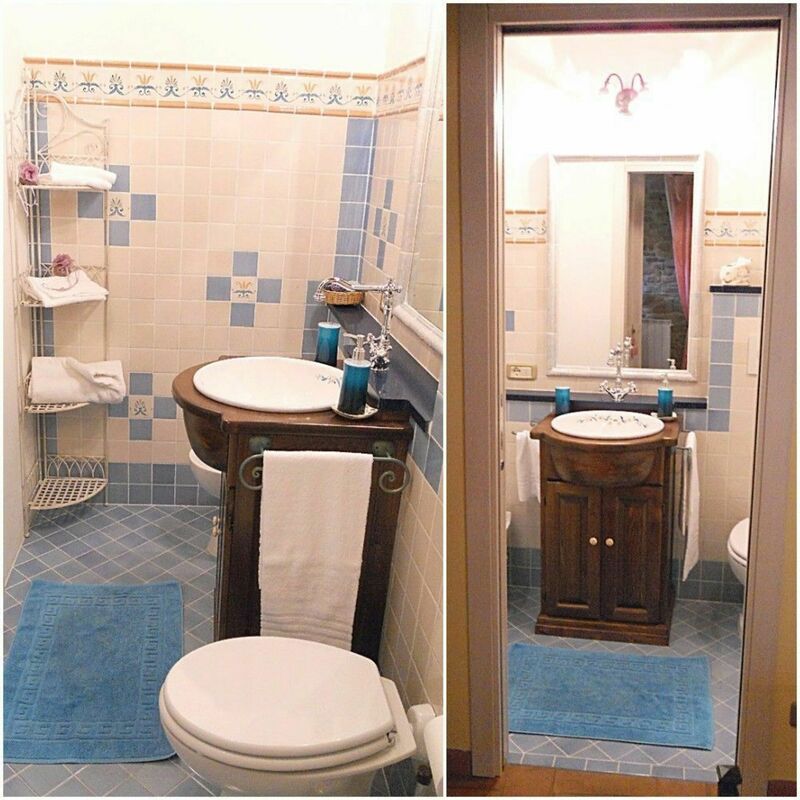 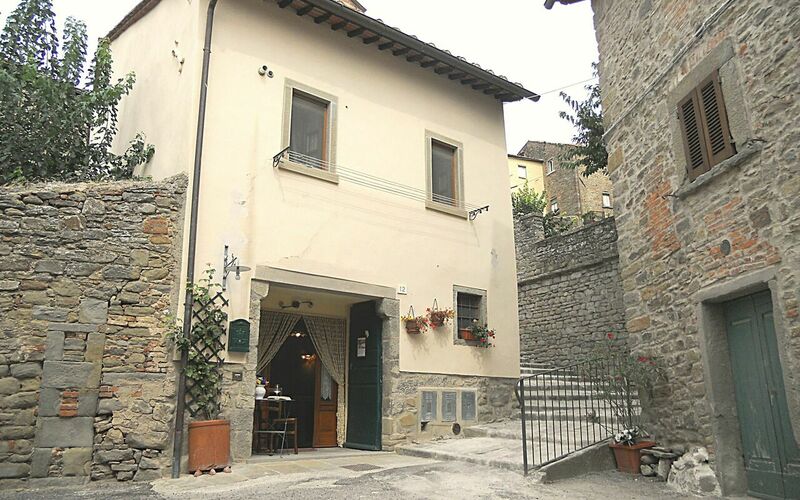 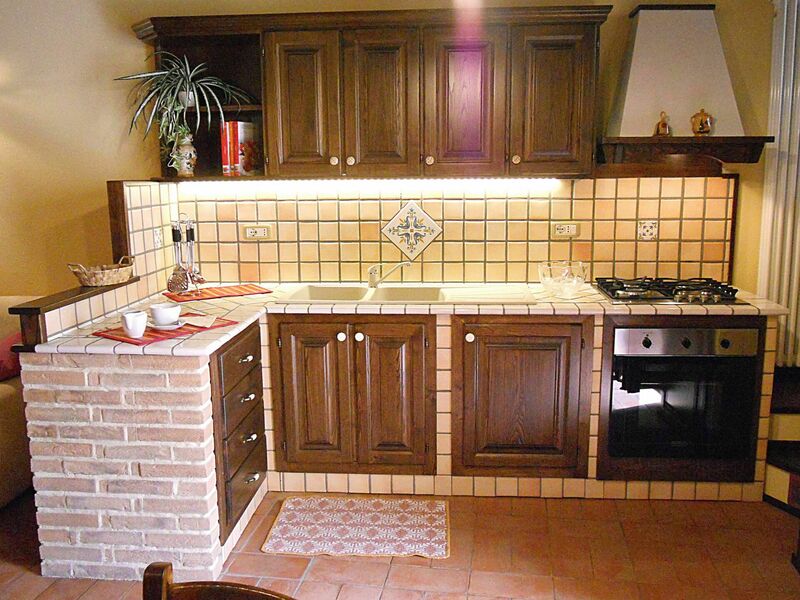 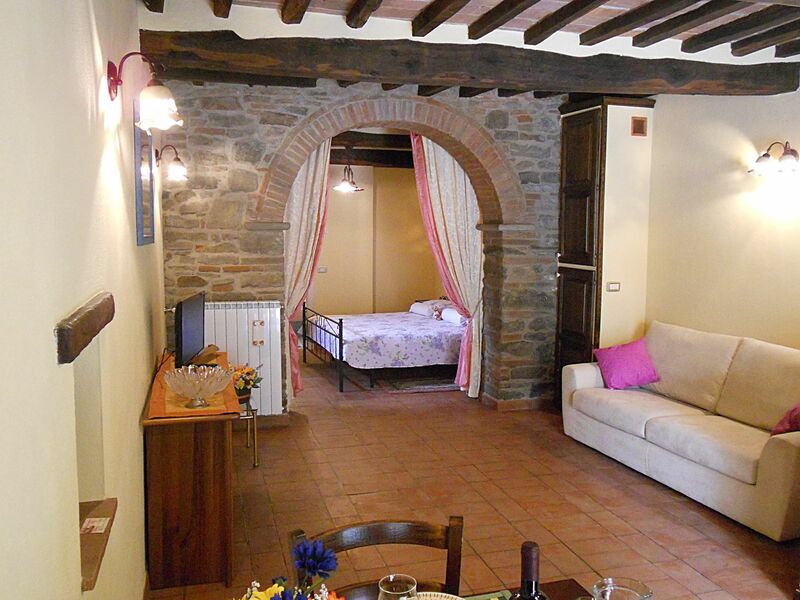 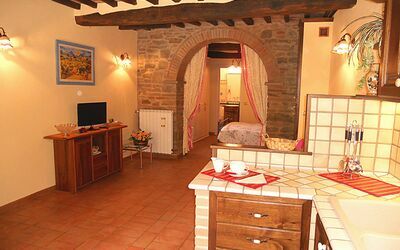 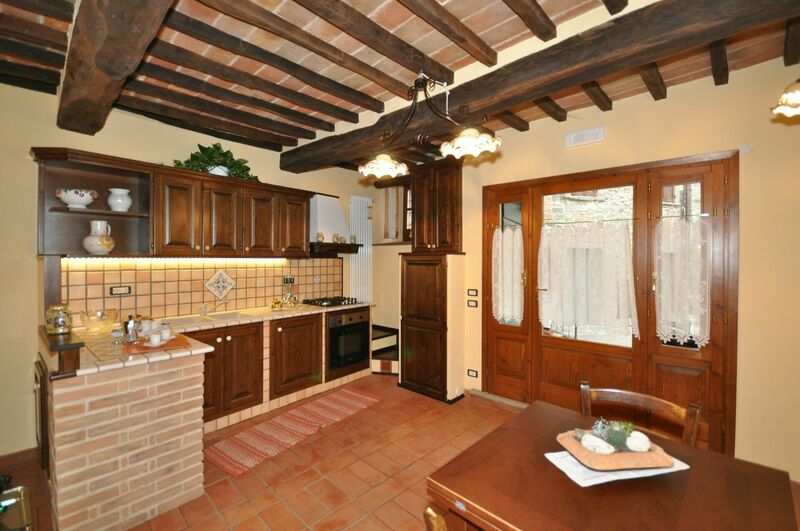 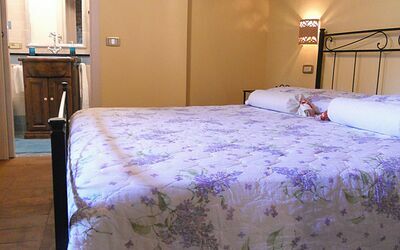 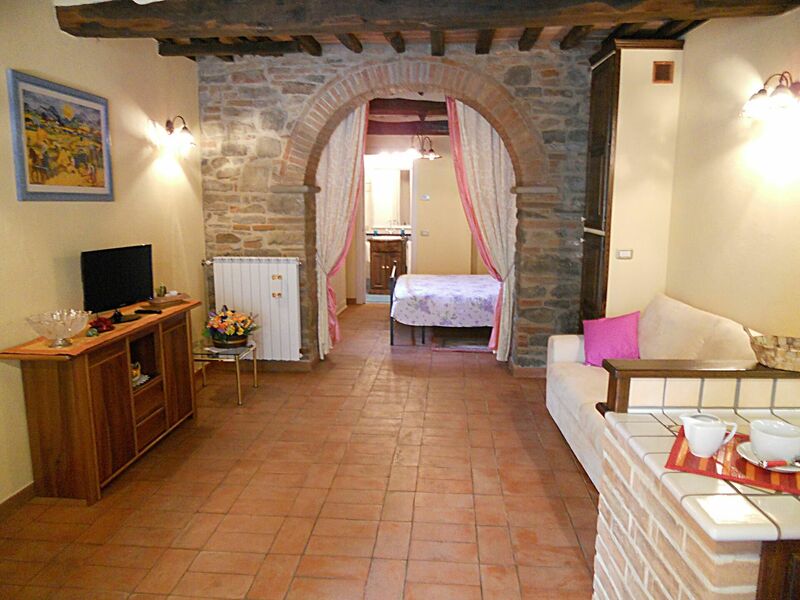 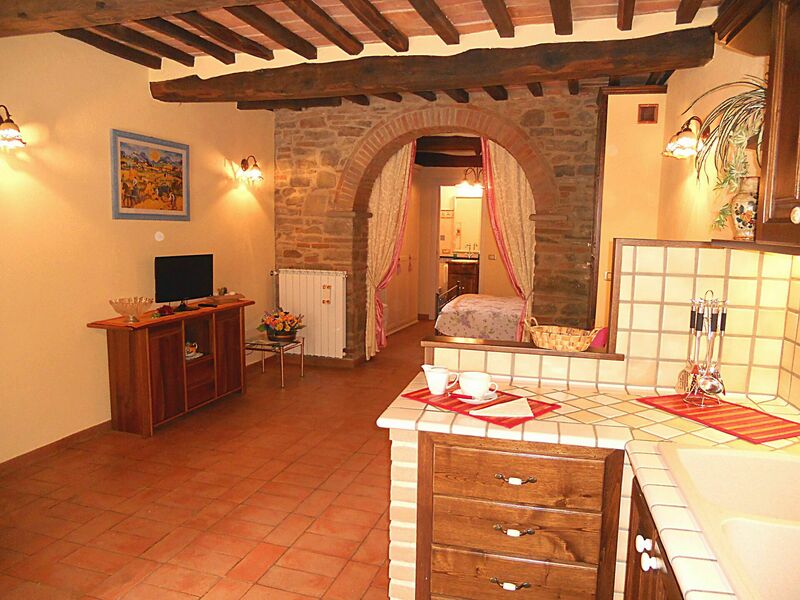 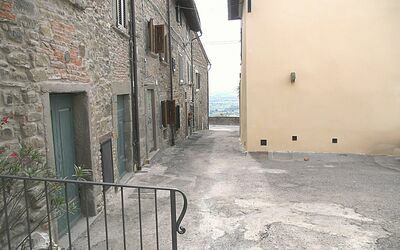 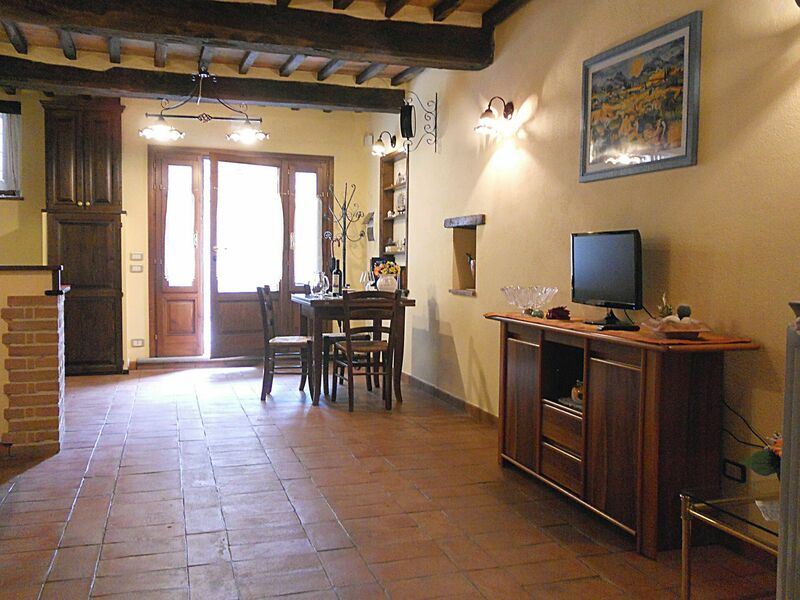 Charming apartment situated in the center of Cortona, a lovely town whose origins date back to the Etruscan times. 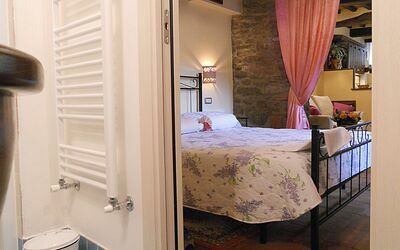 The amazing bell tower of Sant’Agostino as well as the city center with monuments, museums, shops and nice restaurants are a short walk away. 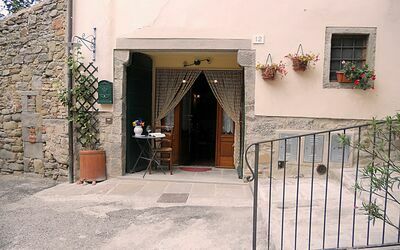 A public parking is approx. 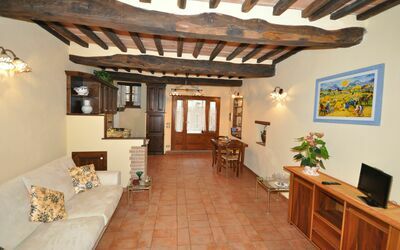 150 from the house and a bust stop with busses to the main surrounding towns and villages is in walking distance. 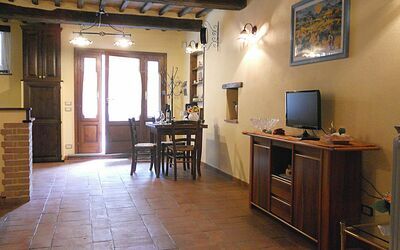 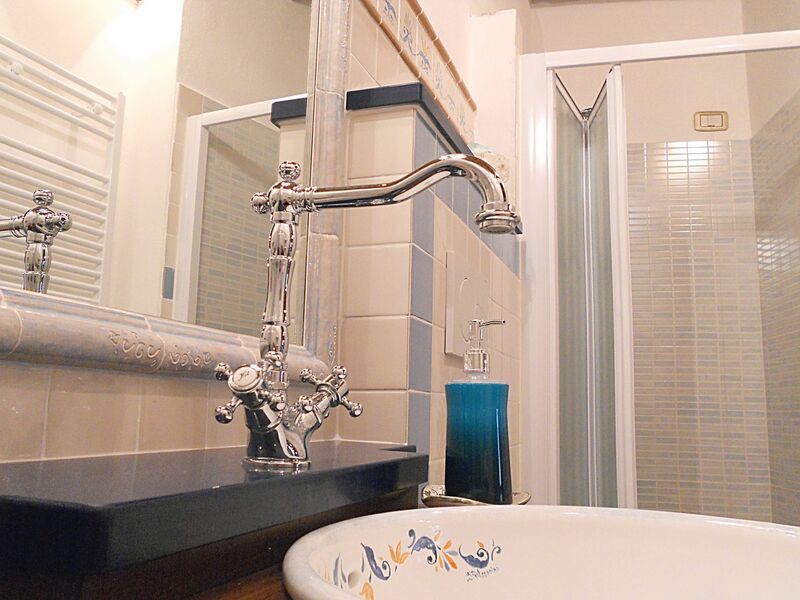 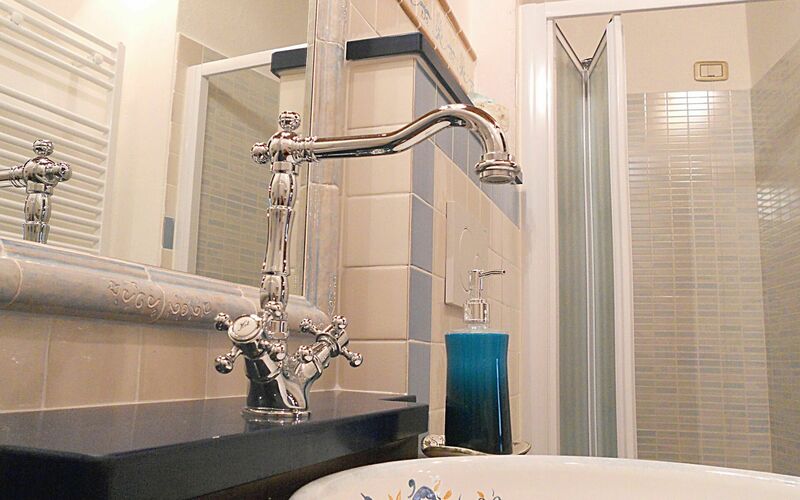 This apartment has been recently restored and turned into a welcoming accommodation offering tastefully furnished interiors. 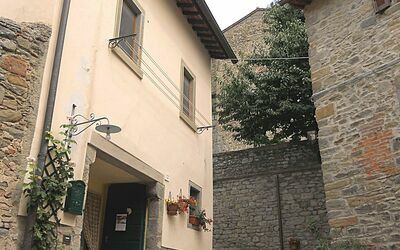 The property owners run a ceramic shop in the city center where they exhibit and sell their products (vases, dishes..). 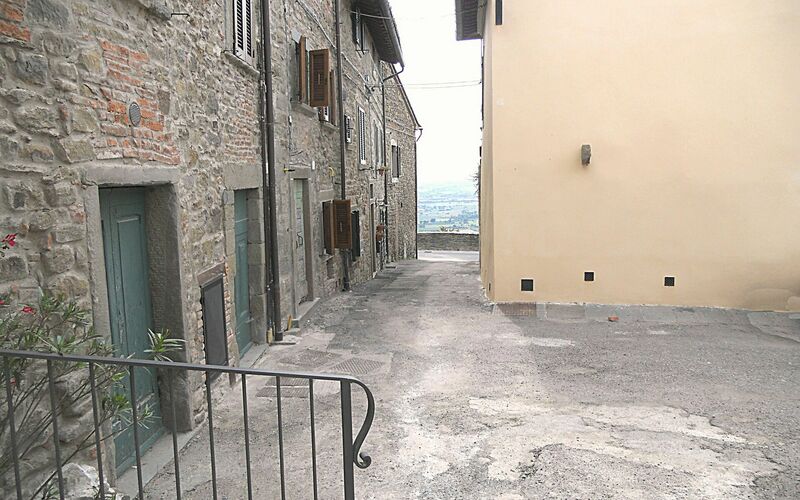 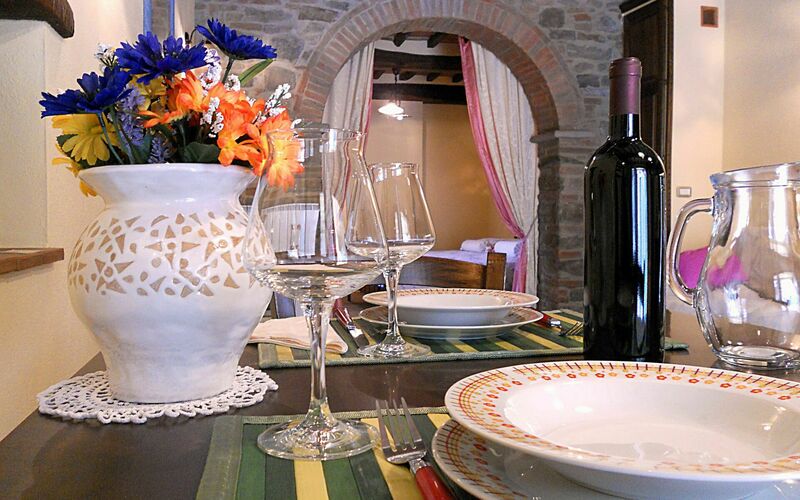 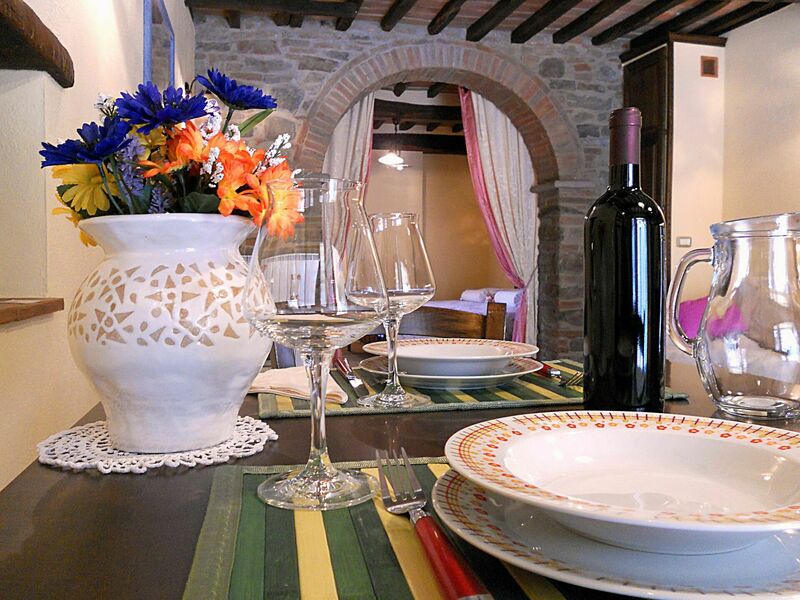 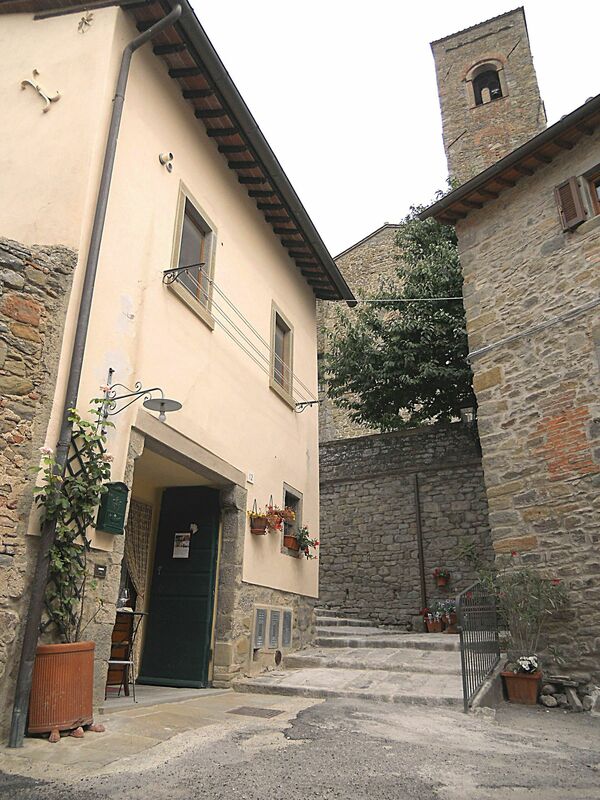 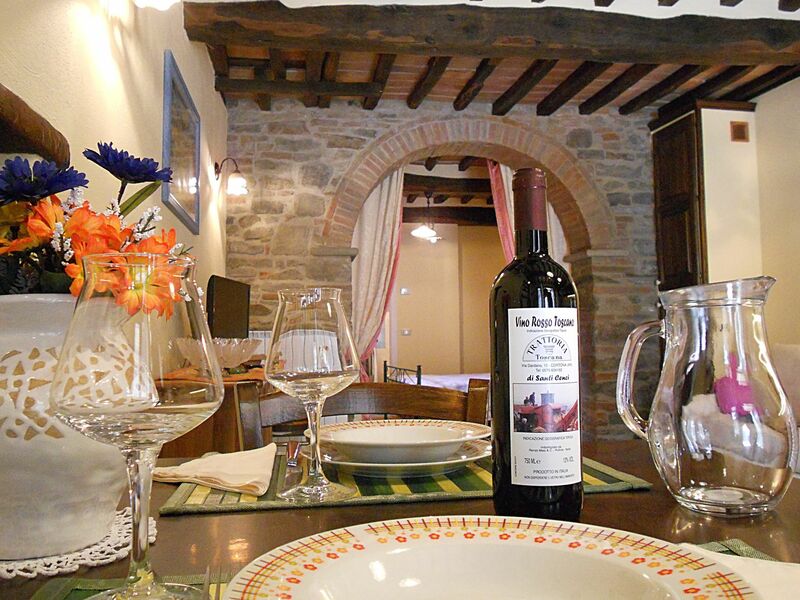 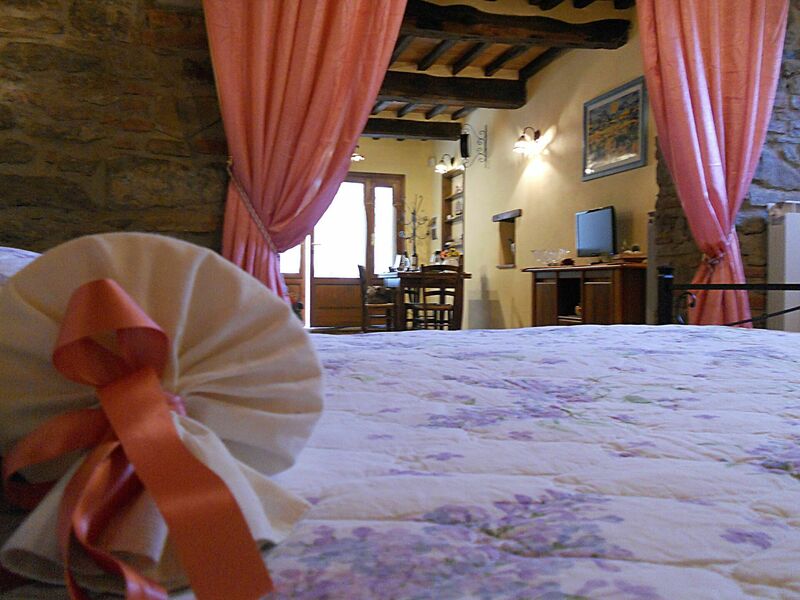 Distances: Cortona city center with monuments, museums, shops and nice restaurants is approx. 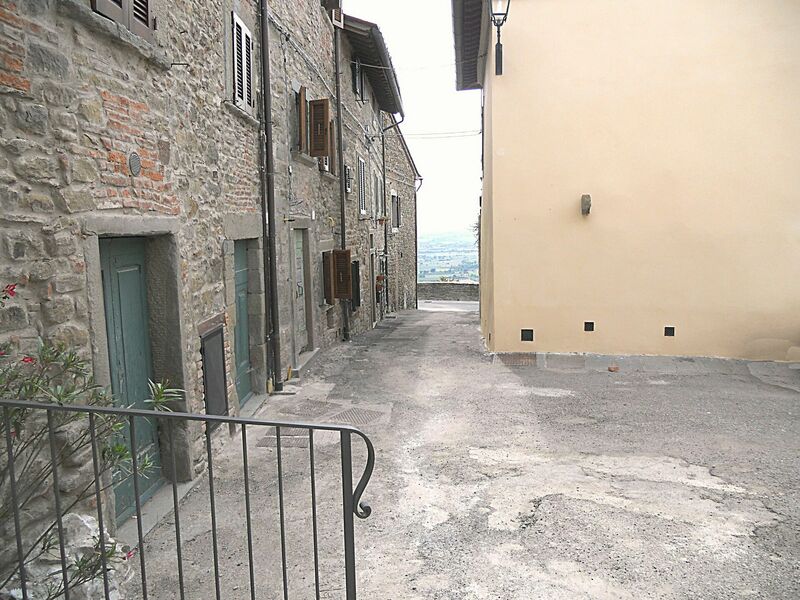 100 meters away, Arezzo 30 km, Perugia 45 km away, Siena circa 70 km. 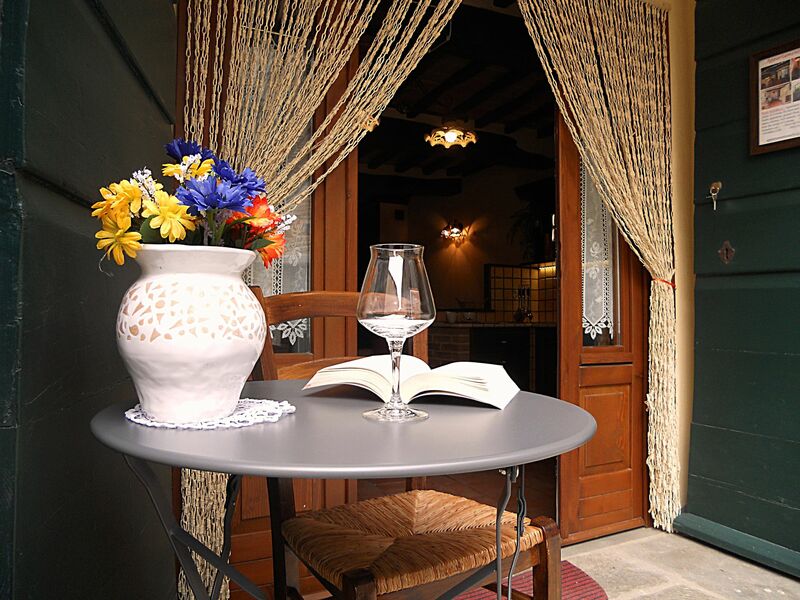 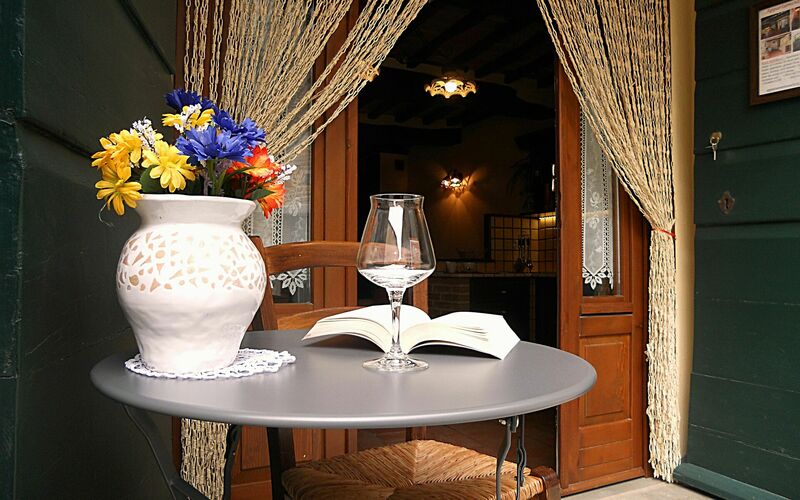 At guests’ disposal: a small table with chairs for 2 people available outside the apartment. 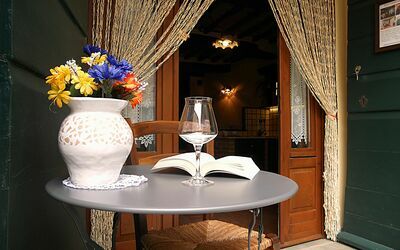 Free WI-FI internet is provided. 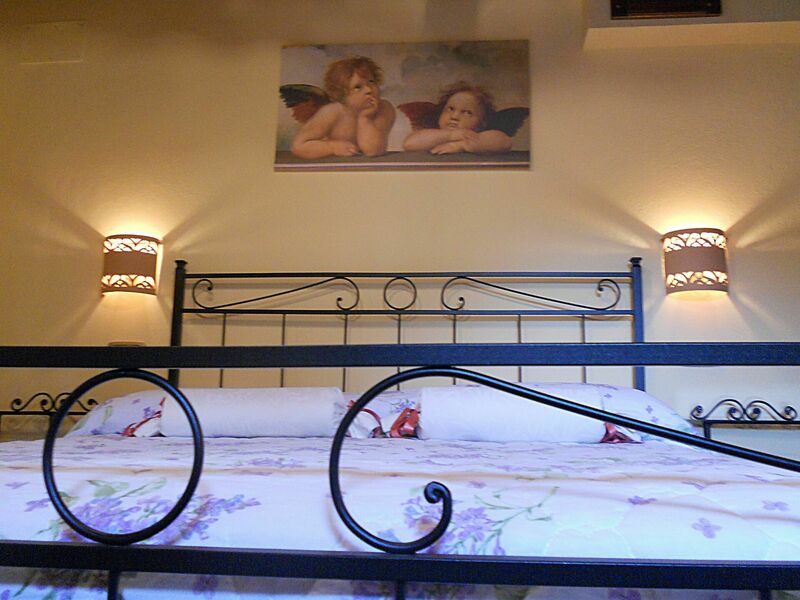 Additional Services: Baby bed available upon request (free of charge). 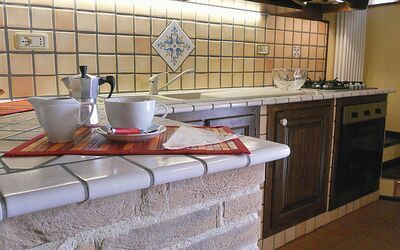 Maid service available by arrangement at € 12,- / per hour (payment on the spot). 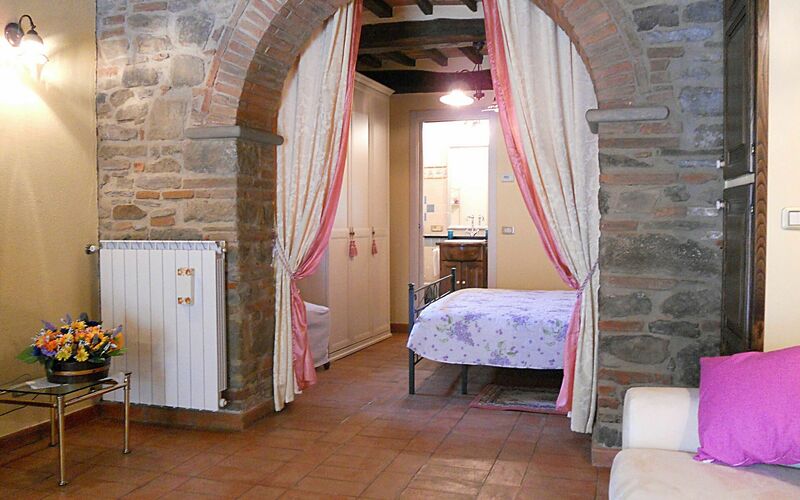 Ground floor: living-room (TV) with dining area and kitchen corner (oven, freezer, washing-machine), double bedroom separated from the living area by a beautiful arch with curtains, bathroom with shower (without window).